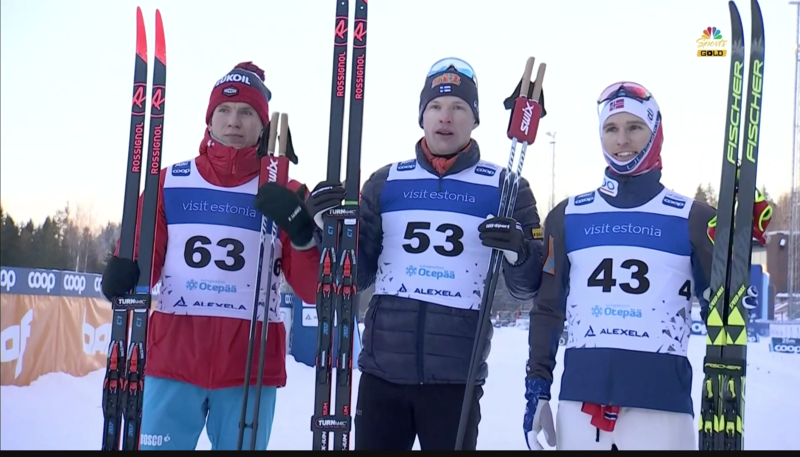 World Cup cross-country action returned to the Otepää race venue on Sunday, with athletes reconvening after Saturday’s classic sprints for the weekend’s distance classic event. In the women’s 10-kilometer individual start classic race, Norway’s Therese Johaug finished first in a time of 29:53.7 for the win. Sweden’s Ebba Andersson finished second (+48.4) while Russia’s Natalia Nepryaeva claimed third (+56.7). Skiing for the U.S. Ski Team (USST), Jessie Diggins was the top North American woman on Sunday, placing 13th (+2:26.0). Two more Americans skied into the Top 30, with Rosie Brennan finishing 27th (+3:09.9) and Sadie Bjornsen 29th (+3:11.3). Also skiing for the U.S. on Sunday, Caitlin Patterson and Ida Sargent finished in 39th (+3:50.9) and 41st (+4:17.2), respectively. Dahria Beatty was the lone Canadian to enter the race, placing 43rd (+4:42.5). In the men’s 15 k, Finland’s Iivo Niskanen took first, completing the course in a time of 40:07.1. Russia’s Alexander Bolshunov finished in second place (+15.9) and Norway’s Didrik Tønseth in third (+46.4). The USST’s Erik Bjornsen led the charge for the Americans, placing 30th (+2:35.7). Scott Patterson placed 36th (+3:01.0), while Ben Lustgarten finished in 53rd (+4:41.1). Kevin Bolger placed 56th (+4:57.3) and Andy Newell did not start. Racing for Canada, Len Valjas placed 43rd (+3:56.9) and Bob Thompson 52nd (+4:24.0). The NorAm weekend wrapped up with mass start free technique on shortened courses. The predicted extreme cold and extreme snow didn’t materialize with a relatively balmy -13C recorded by the jury. Katherine Stewart-Jones (CNST) continued her dominance with a win in 48:25.5, gapping Cendrine Browne (CNST) on the third and final lap for a 8.4 second separation. That is two wins and a second for Stewart-Jones. Zoë Williams (Nakkertokk) was third again, 1:38.2 behind. The shortened course was 14.3km, with one 4.3km lap and two 5km laps. Russell Kennedy (Team R.A.D.) collected his first win of the weekend to earn his trip to World Championships, finishing alone at 57:12.6 on the four lap 19.3km race. Scott Hill (Hardwood) was second at 23.4 seconds behind. Evan Palmer-Charrette out-sprinted the remains of the original six leaders to complete the podium at 1:07.0. Career-best days are good days. That’s the main narrative from US Biathlon’s Sean Doherty 15-kilometer mass start in Ruhpolding, Germany on Sunday. Doherty’s previous best in the mass start was a 24th place. In the 30-athlete field, Doherty began in bib-30. In his first two shooting stages, both prone, he skied a single penalty lap in each. As he found his ski-speed groove for his second two laps, marking the third fastest ski split for lap three and the fifth fastest split for lap four, Doherty also made his mark on the shooting range as he shot clean for for both his standing stages. Doherty finished in 13th overall which matched his individual career best on the IBU World Cup. Johannes Thingnes Bø of Norway won the mass start in a time of 36:43.8 minutes while shooting clean for his first three stages and skiing one penalty lap on his fourth. Doherty’s finishing time was 42.2 seconds behind Bø’s. Canada’s Christian Gow also posted a career best IBU World Cup results with an 11th place. Gow skied a single penalty lap after missing a target on his second prone stage. Otherwise, he shot clean to finish 34.3 seconds behind Bø. Austria’s Julian Eberhard placed second (+0.6, 0+1+0+1), and France’s Quentin Fillon Maillet was third (+2.8, 0+1+0+0). Teammate Martin Fourcade skied to fourth (+8.6, 0+0+0+1). Bø’s win on Sunday marked his 10th win (including relays) this season on the IBU World Cup. He leads the overall points series. It was time for a first in the women’s 12.5 k mass start. Franziska Preuss of Germany won the race – an IBU World Cup career first for her — in a time of 32:34 minutes. Preuss shot clean on her way to the win. Norway’s Ingrid Landmark Tandrevold placed second (+0.2, 0+0+0+0). 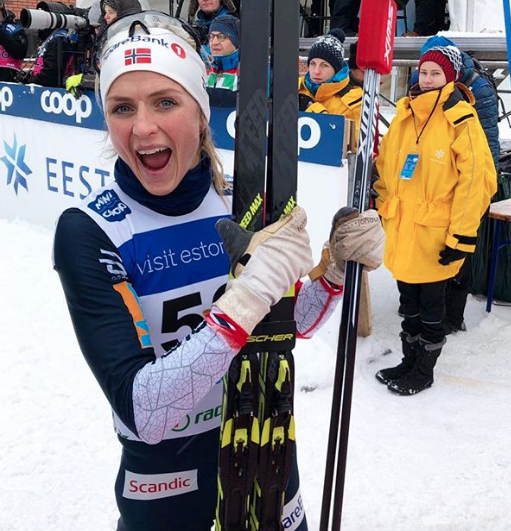 For Tandrevold it was a her first IBU World Cup podium. Paulina Fialkova of Slovakia was third (+15.1, 0+0+0+0). 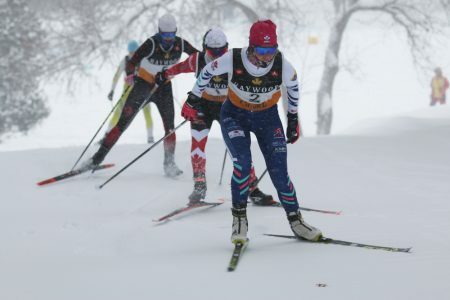 US Biathlon’s Clare Egan placed 24th (+1:59.7, 0+0+3+2), teammate Susan Dunklee 25th (+2:12.5 2+1+1+0). No other North American women qualified for the mass start.